Marrickville Metro shopping centre in Sydney’s inner west will receive a $142 million upgrade to take advantage of the stronger demand for food-related retailing in densely populated locations, reports The Sydney Morning Herald. 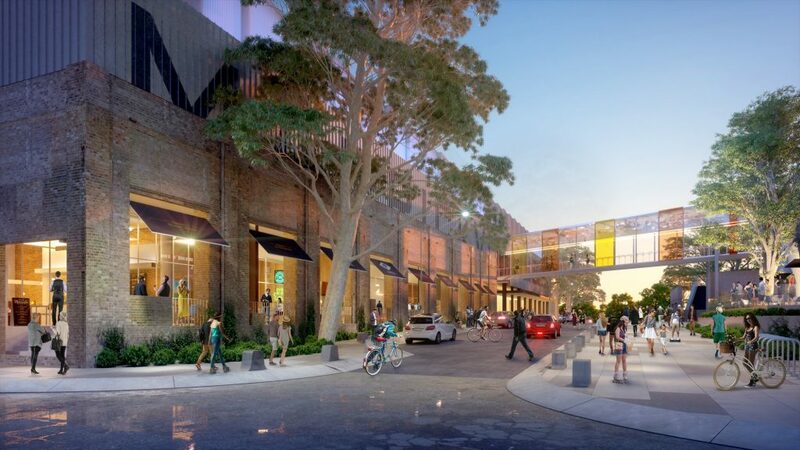 One of Sydney’s busiest shopping centres, the Metro will use a disused industrial warehouse to expand its al fresco dining options, supermarkets, leisure outlets, and fresh food offerings. Most of the existing warehouse façade will be retained, while the old and new parts of the centre will be connected by a pedestrian bridge over the council-owned Smidmore Street, as well as a street-level crossing. The upgrade will increase the centre’s footprint from 22,000 square metres to 33,000 square metres and will host an additional 44 new retailers, including a major new ‘black label’ concept version Coles supermarket. Marrickville Metro’s upgrade also comes as Sydney’s inner west is undergoing a significant number of construction projects, which are under way or proposed. The new work is designed to accommodate the huge population growth of the area. In Marrickville alone, there are 27,000 new home developments or redevelopments underway and the trade area population is forecast to reach 440,000 by 2021. AMP Capital’s global head of real estate Carmel Hourigan said the upgraded centre will ”celebrate the food and art culture of Sydney’s inner west and reflect the industrial heritage of the area”. The shift to more food offerings is a reflection of the changing tides of the retail sector, according to analyst research. The devaluation in values of non-flagship shopping centres by Vicinity Centres last week has thrown the spotlight on how times are tough for non-food retailer tenants. The retail project was designed by architects Hames Sharley and will be built by ADCO Constructions. AMP expects the project will create 200 construction jobs and more than 600 local employment opportunities when the new centre is completed. The upgrade has started and is anticipated to take about two years to complete.